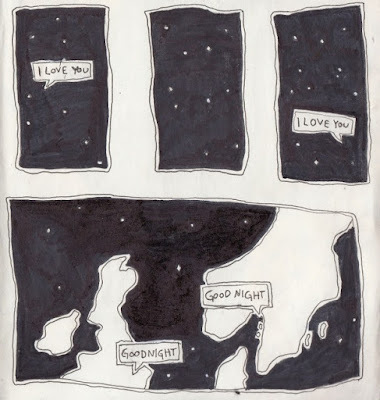 A collection of words, drawings and photographs on what it is like to be in a long distance relationship: to miss them, to hold them, and to leave the person you love at the airport and fly home. “I miss her. I love her. I love how she only holds a few of my fingers and how un-romanticised we make ourselves (while still being romantic). I love how easily she laughs. She’s so strong and has so much stacked against her yet she still smiles with her whole face. Her tongue tastes of cold water because she drinks it so much and her hands are smooth and small and feel safe on me. And I’m not even back home yet. Sun makes everything look blessed. To those in long distance relationships: it’s not the dead-end everyone says it is. If you find that connection with someone, no distance will ever change it. Special mention to my girlfriend, Tanja, for being an angel - I love you to Sweden and back.